When it rains, it pours. Stay safe on the roads with these tips. Getting stuck driving in heavy rains can be a scary experience. Your car could hydroplane, it’s harder to brake quickly, and accidents are much more common. 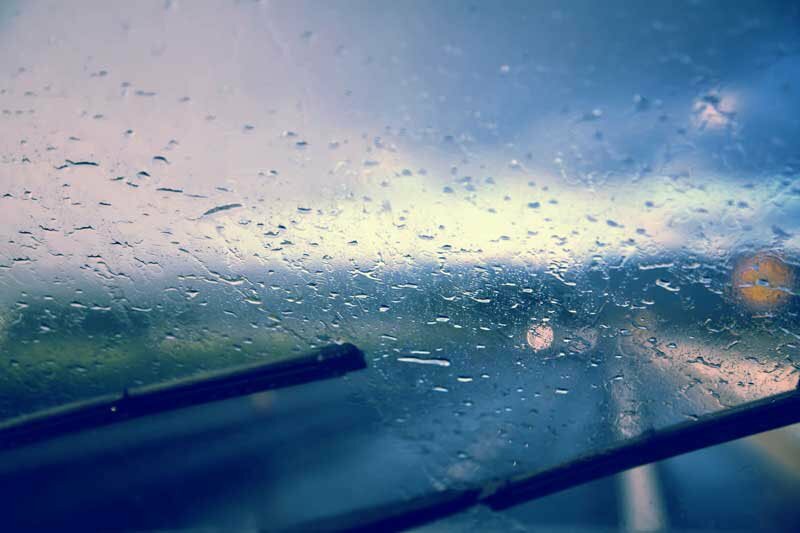 While there are certain parts of the nation that can’t avoid driving in heavy rain and flooding, here are some tips to stay safe while out and about on the roads. Rain reduces visibility on the road, making it harder to see approaching cars and judge distance. Headlights will help other cars to see you more clearly and will help you to see the road ahead. Even though you know the road like the back of your hand, wet roads dramatically increase your stopping distance. You should always drive at or even below the speed limit when it’s raining, especially on the highway. During the first few hours of rain, the oils will cover the roads, making for a slick surface. Tailgating cars and riding bumpers is always dangerous, but it’s particularly bad during a storm. Water on the road makes it hard to stop safely. Your car may slide more on the water, and you might skid if you brake too quickly. Ensure that you leave plenty of room between you and the vehicle in front of you to avoid an accident. If, at any point, you feel unsafe driving in any type of weather, pull over and stop. Wait out the storm in a safe parking space. If you do happen to stop on the side of the road, use your hazard lights to alert other drivers that you are stationary. Now that you know how to drive safely in heavy rain, be sure to secure your auto insurance in Vancouver, WA. At the Action Insurance Group, we’re dedicated to providing each motorist with car insurance that they can rely on! Serving Washington and Oregon, visit us today!